You are at:Home»Pet IQ»What are the four breeds of current military working dogs featured in the 2019 U.S.P.S. Stamp Program? What are the four breeds of current military working dogs featured in the 2019 U.S.P.S. Stamp Program? 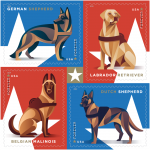 The new 2019 stamps feature the German shepherd, Labrador retriever, Belgian Malinois and Dutch shepherd — that now commonly serve in America’s armed forces. The Postal Service announced its stamp program honoring the nation’s brave and loyal military working dogs will feature a new booklet of 20 stamps in 2019. Each block of four stamps will feature one stamp each of the four breeds. The background of each stamp features a detail of a white star. A star appears in the center of each block. The stylized digital illustrations are in red, white, blue and gold to represent the American flag and patriotism. The art was created by DKNG Studios. Art director Greg Breeding designed the stamps. The stamps aren’t available yet but according to a USPS official, more details on the date and location for the first-day-of-issue ceremony will be announced soon, so be sure to check back at usps.com for updates. Special dedication events are free and open to the public. The pets stamps will be on sale at the event and are available online at http://usps.com/stamps as well as at Post Offices everywhere. Previous stamps featuring animals include: Adopt a Shelter Pet, 2009; Spay and Neuter, 2002; Bright Eyes, 1998; American Dogs, 1984; American Cats, 1988; Puppy and Kitten, 1982 and Seeing For Me, 1979. 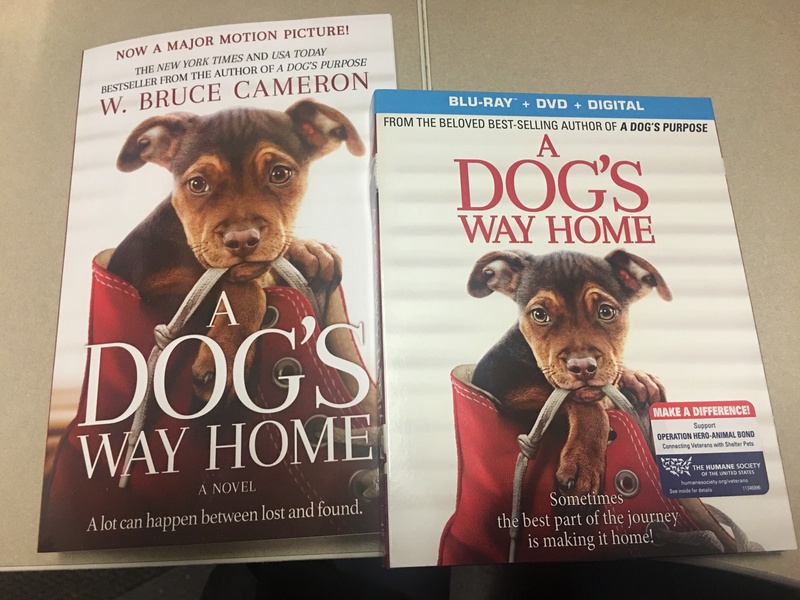 In 2016, in tribute to America’s favorite pets, the U.S. Postal Service special dedication of Forever stamps featured photographs of 20 different domestic animals — two dogs, two cats, two birds, two fish, four reptiles, five rodents, a crustacean, a rabbit and a horse. The special dedication ceremony for the Pets stamps took place at the Stray Animal Adoption Program (SAAP) Station, 58 Martha Layne Collins Blvd, Cold Spring, Kentucky 41076. Participating in the dedication event was USPS Ohio Valley District Manager of Post Office Operations Barbara Cardoza and SAAP President Bob Howard. SAAP, a volunteer-supported program for adopting out cats and dogs. The stamps featured 20 existing photographs of different animals taken against white backgrounds by Eric Isselée. Each photograph representsed animals that are loved: puppies, betta fish, iguanas, hamsters, goldfish, parrots, guinea pigs, tortoises, rabbits, kittens, corn snakes, mice, hermit crabs, chinchillas, gerbils, dogs, parakeets, horses, cats and geckos. Inspired by her lifelong love of animals, art director Derry Noyes designed these stamps. Though cats and dogs are the more traditional choice, pets come in all shapes and sizes. Small mammals, like hamsters, gerbils and mice, are popular choices for many people, especially those with limited space that might not accommodate larger animals. Slightly larger mammals, like rabbits, guinea pigs and chinchillas, have also become much more prevalent in American homes, particularly for families with older children. The Postal Service receives no tax dollars for operating expenses and relies on the sale of postage, products and services to fund its operations. Visit usps.com and facts.usps.com.